If you can’t resist the rich combination of milk and nuts, you’ll love these crunchy cereal pillows filled with the finest Lino spread milk. 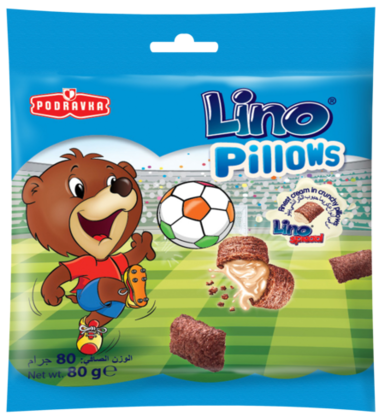 Whether it’s breakfast time or not, prepare a bowl of Lino Pillows with or without milk and enjoy the delicious, creamy taste packed into crunchy cereal. It’s a taste that delights even the most demanding tongues. Pour 30 g of the product with 125 ml of warm milk (45 °C) and stir well.